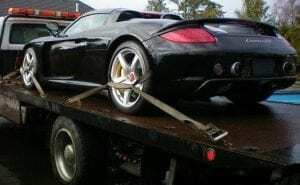 Do you have an exotic or luxury vehicle in need of a towing service Naperville, Aurora, Downers Grove, IL, or any surrounding Chicago South West suburbs? Some vehicles need a little more love & affection (T.L.C.) when getting towed. Let our team show you why we’re your local to Naperville-Aurora, IL, #1 choice and why we’ve been serving the local area plus beyond since 1995. Call now, later, 24-7. 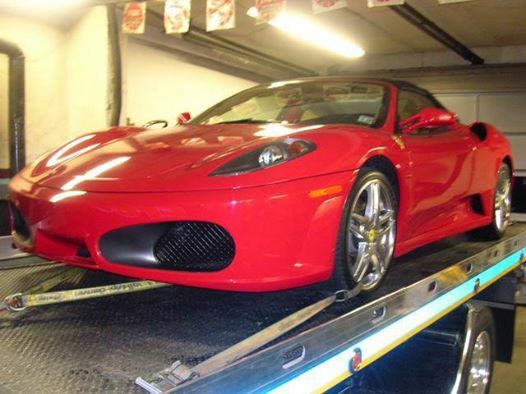 Don’t let just anyone tow your BMW, Mercedes, Maserati, Ferrari, Lamborghini, Porsche, or any other luxury vehicles. When it comes to towing exotic & luxury vehicles extra attention must be given to ensure the towing process is smooth, damage free, as quick and painless as possible. Our team at Naperville-Aurora’s Tow Recover Assist is here for all your exotic & luxury towing needs. Day or night, rain or shine, sleet or snow, 24-7! 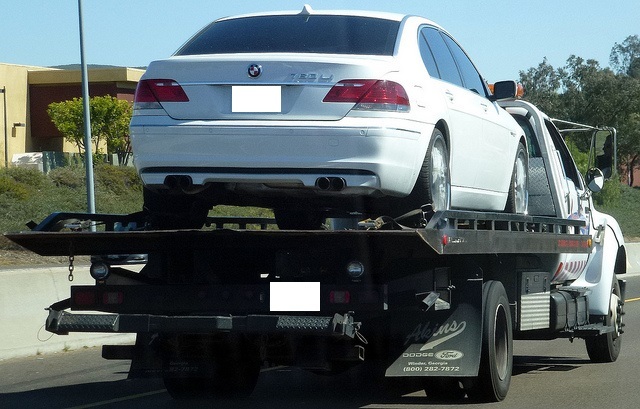 Are you wondering what the difference is between our exotic-luxury towing service and our standard towing service? Let me break it down for you. • For high-end (exotic-luxury) vehicles we only use air-ride (low-center-of-gravity) flatbed tow trucks. Our air-ride flatbed tow truck beds sit much lower than our standard flatbed tow trucks. Which in return offers a gentler incline that is required to load some exotic-luxury vehicles that have a very low ground clearance. Hence we would never want to damage your bumpers, ground effects, rocker panels, or exhaust systems. • We will typically only use soft nylon straps to load and secure your exotic-luxury vehicle(s). Our team never uses any metal hooks and or chains that could scratch rims, suspension & steering components, body panels, ground effects, frames, etc. • We will always send the most experienced, most trusted, highest trained tow truck driver we have available. Hence we always take extreme care in loading, securing, transporting, and unloading your vehicle regardless of the weather, time of day, wherever your vehicle may be. We have your exotic-luxury vehicle towing needs covered! 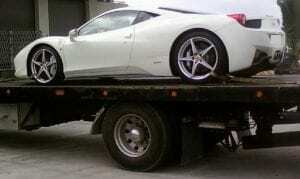 Are you looking for a towing company that you can trust plus afford to tow your exotic-luxury vehicle? Our team has been towing Naperville, Aurora, Downers Grove, IL, plus all surrounding Chicago South West suburbs for many years for many reasons. One of those reasons is our immaculate exotic-luxury vehicle towing service we offer. If you are looking for a towing company to tow your exotic-luxury vehicle, you’ve found the right place.